Community - we desire to be a good neighbor to our surrounding community and seek to do so by hosting community events and renting the facilities to socially conservative community groups in order to share the Gospel of Jesus Christ. 3. MEDITATION - People’s lives are so busy, we’ve lost the art of meditation – being still and thinking on God and His works. 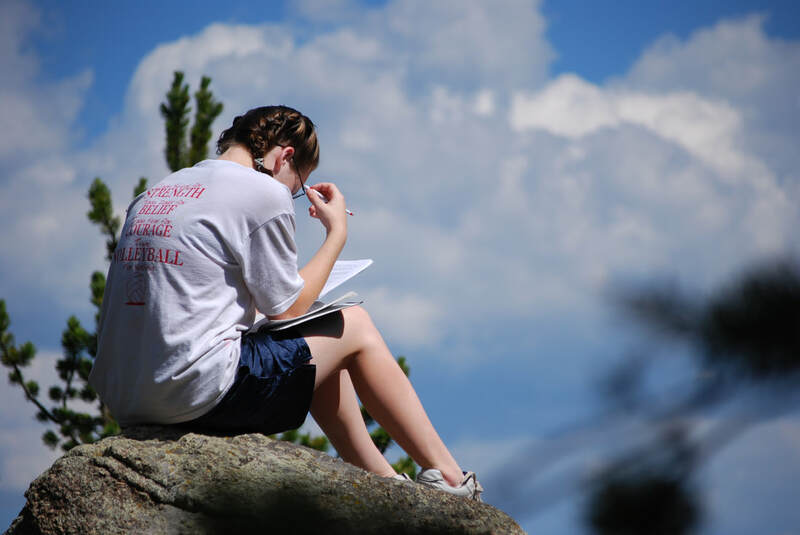 Surrounded by God’s World, saturated by God’s Word, campers have time to slow down and seriously think about who God is and what He has done. 4. PEOPLE - The Christian life is not lived in a vacuum. For most believers, the major influences are Facebook and TV. 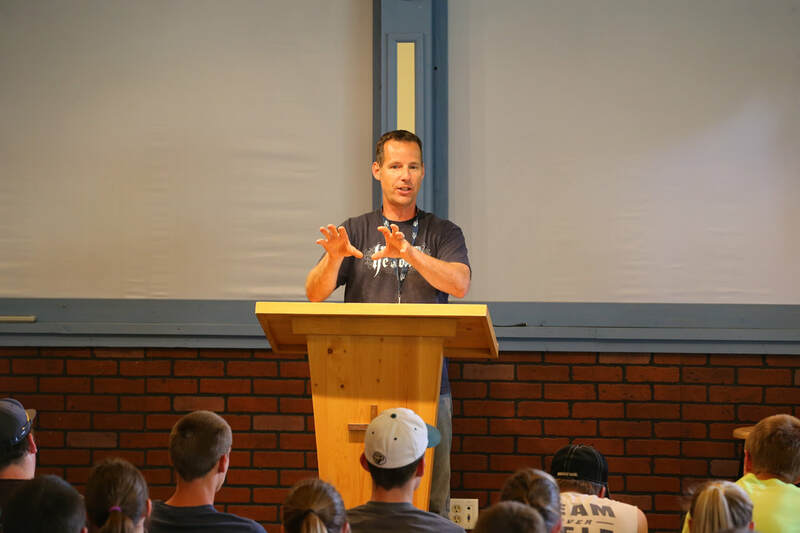 At camp, for a brief moment, you are able to be influenced by godly staff and campers. They become the encouragement and models by which you live your life. 1. CREATION - In an increasingly urbanized world, time spent in Creation is refreshing and rejuvenating. Add to that the awesome majesty of God, clearly displayed in the rocks and trees, and there’s few places you can experience God like at camp. 2. AWAYNESS - Camp takes you away from it all. 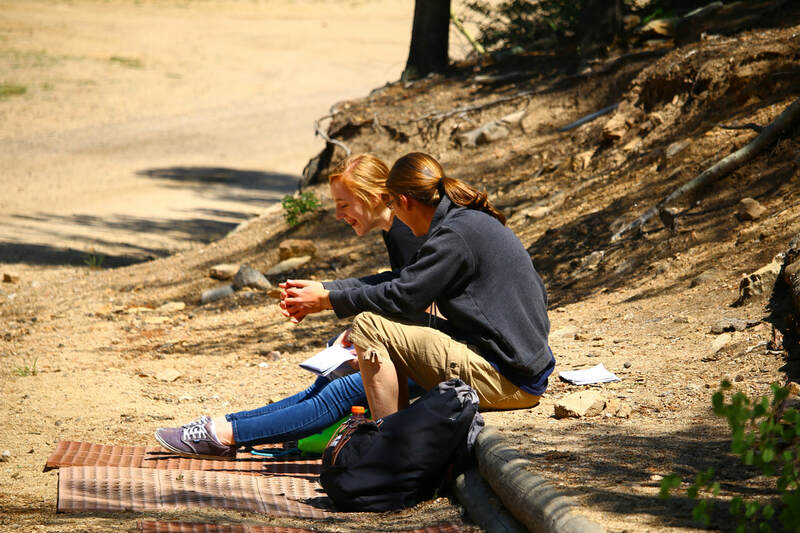 We have no cell phone service at Camp Eden and intend to keep it that way. There’s something to be said for getting away from the routine, the concerns, the pressures, and the stress. Camp gets you away. 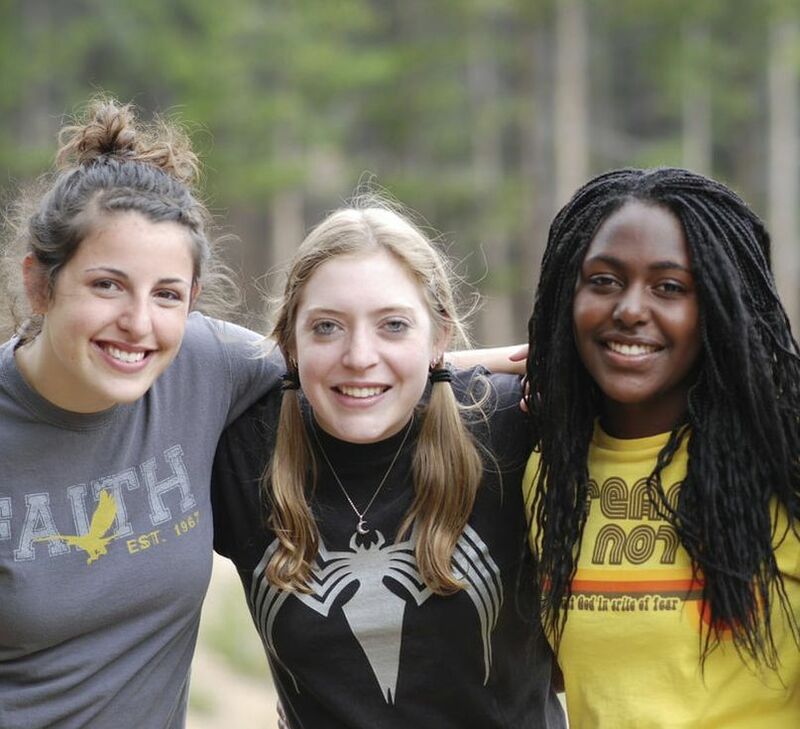 What makes a camp Christian? The Gospel is central to everything. It declares the good news that Christ died to save sinners, that we can have a relationship with the holy God of the universe, that through the Holy Spirit’s enabling and our pursuit of holiness we are being changed from the inside out into the image of Jesus Christ. We spend a significant part of staff training, teaching the biblical Gospel to future leaders. We feature speakers who are committed to this Gospel. And we want our staff and speakers to be able to share it in a clear, winsome manner. The Gospel is too important to be poorly communicated. We understand that Christian growth doesn’t happen all in one moment. There’s no special laser that zaps us into perfect Christian living. Instead, sanctification is a process that is often bumpy, sometimes slow, but always progressing. 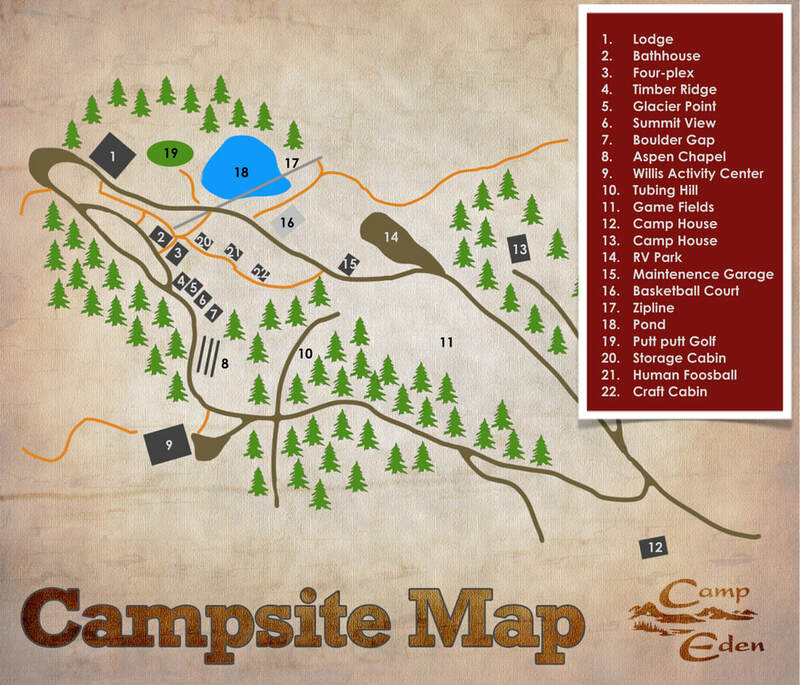 We recognize Camp Eden is only a stop along the road of someone’s spiritual growth, but we feel we are a helpful one. 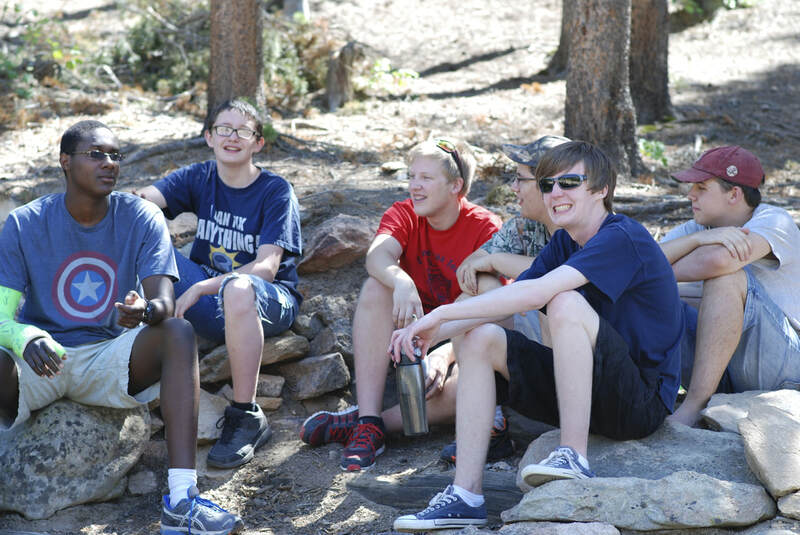 The men and women who work at Camp Eden are followers of Christ, and their mission is service. As a ministry training ministry leaders, we constantly remind ourselves that Christ was a servant, not a dictator; a teacher, not a manager. If our ministry is going to be Christian, our staff must follow Christ’s example. We have a saying at Camp Eden: “Church is core.” The local church is the center of spiritual growth and must be the focus of every Christian’s life. Camp Eden is fully committed to this. 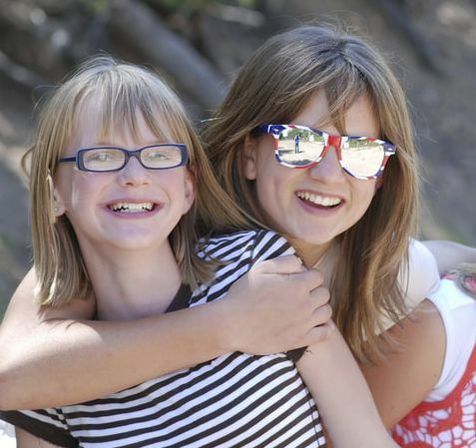 Our summer program camps are built from the ground up with the local church in mind. We specialize in several different camping models – program, custom, rental – so that we can serve as many churches as possible. We constantly ask ourselves, “Do campers leave Camp Eden as better church members than when they came?” For us, the local church is everything...just like it ought to be. Randy has been working at Camp Eden since his family moved to Colorado when he was 11. The first few years involved very little work, though many would argue that the years he’s been on year-round staff have involved very little work as well. As Director, Randy oversees the camp's future, summer schedule, activities on the campsite, marketing, and recruiting summer staff. In August 2011 he married Nikki, whom he met while working at Camp Eden. When offered 30 minutes of free time, Randy will often catch a quick TV show or read a book. If you offered him a 44 oz. Coca-cola (easy ice) from Sonic, he would gladly accept and make you his new favorite person of the day. Nikki time at Camp Eden began in 2001, when she came with her youth group from Minnesota to spend a week working on the campsite. In 2005, she came to work at Camp Eden the summer her youth group went elsewhere on a mission’s trip and has been a part of the camp ministry off and on ever since. She met and married her husband, Randy, at Camp Eden. Now she works in the camp office, corresponding with rental groups, overseeing the registration process, preparing the mailings, and organizing the director’s life. She’d enjoy sipping a peach tea while sewing, baking, or talking with her family back home in MN. Randy and Nikki have two kids – Peyton and Jackson. 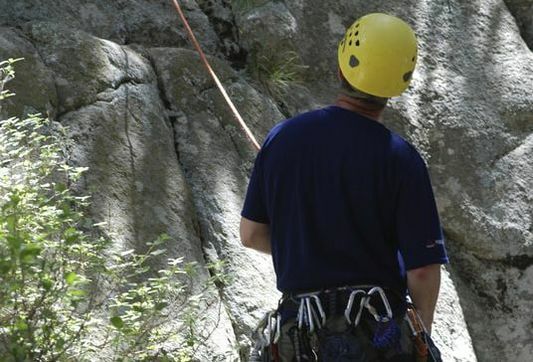 As campsite manager, Carter Herling has been maintaining buildings and vehicles at Camp Eden since 1997—which is good, because he likes doing that (the vehicle part at least). Long before that, Carter was a camper at Camp Eden since he grew up at Beth Eden Baptist Church. If he can find thirty minutes of free time from his maintenance responsibilities he’d spend it riding his three-wheeler or working on a truck. His favorite drink is Dr. Pepper. Or coffee. He’s not sure. 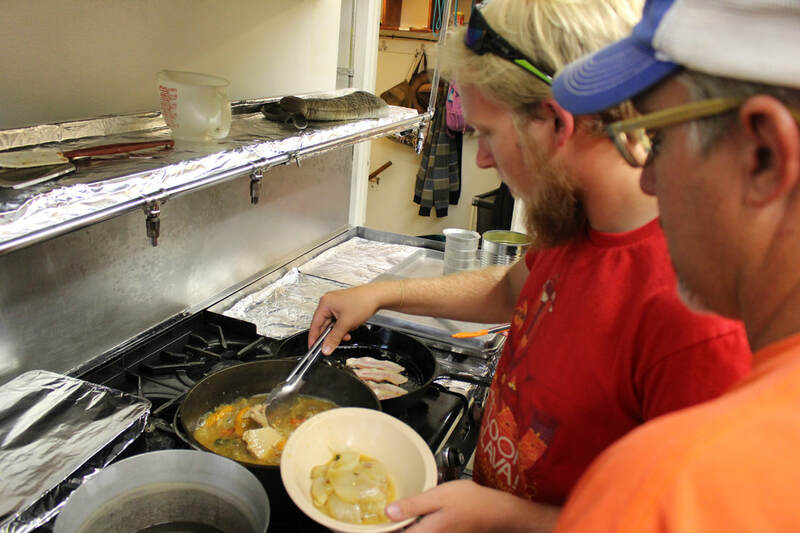 If you’ve ever had a meal at Camp Eden, you’ve experienced Brandi Herling’s cooking. She’s been whipping up delicious meals since 1997. 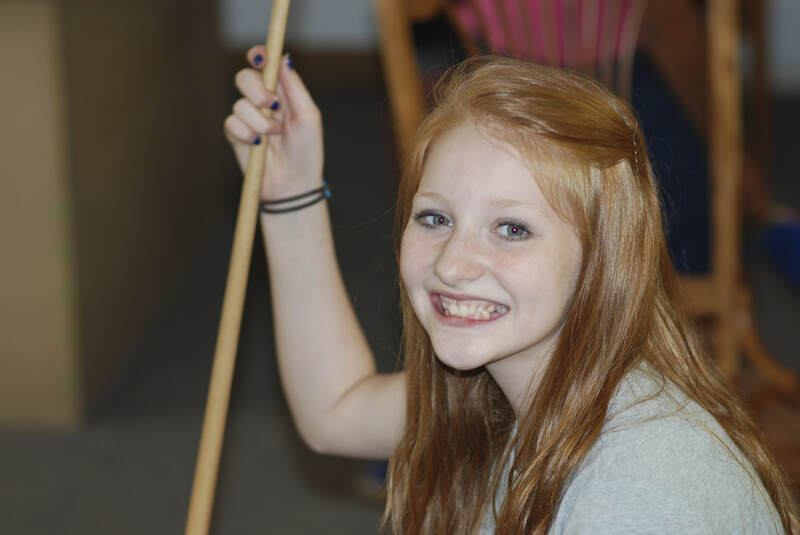 She grew up at Beth Eden Baptist Church and spent much of her childhood attending camp at Camp Eden. She loves to enjoy her favorite beverage, coffee, while curled up on the couch reading in her free time (which is probably what she did during the blizzards that are her favorite memories from working at camp). But since Carter & Brandi have three kids (Kara, Corey, and Emma), free time is a bit of a foreign topic for them. 1. Take Highway 93 north. 2. Turn left on Highway 72. 3. Turn left on Camp Eden Road. 4. Stay straight, even when the road turns to dirt. 5. Go through the gate marked Camp Eden. You can't miss us!